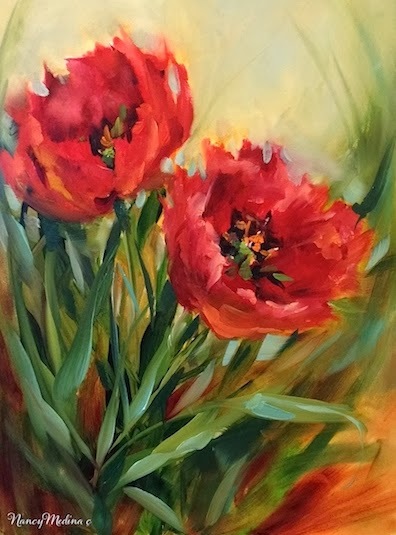 Valentine Red Tulips of the Dallas Arboretum is the newest painting in Flower Mound Studio, based on some of my favorite blossoms of the most beautiful gardens in North Texas. 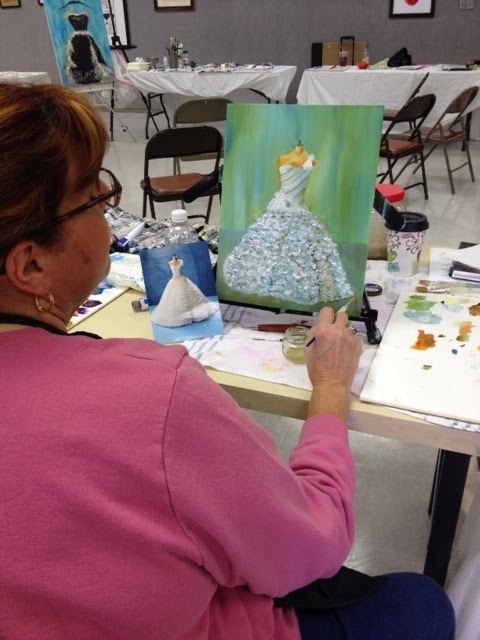 Today was the last day of my Valentine's workshop, where a dozen talented artists created colorful flowers and ended the event by creating romantic dresses. Here are some scenes from our 3-day workshop in North Texas. What a talented, fun bunch of artists. In addition to creating some beautiful dress paintings and florals, they did an exceptional job of helping me make donuts and chocolate disappear! Next stop, Fort Lauderdale, Florida, here I come! Feathers and satin - a party dress for my class demo! We had sunshine and plenty of sugar to fuel our days! Marianne - a master of layers!